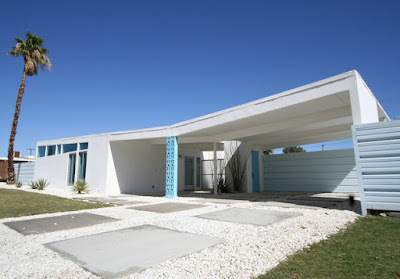 In Palm Springs houses like this one are said to have butterfly roofs. Why do you think they call them that? 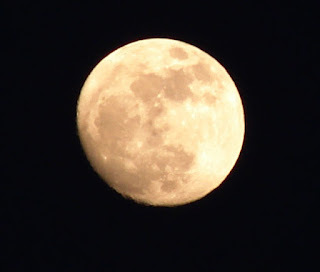 Here's the moon taken in Palm Springs earlier this evening. Pretty cool! Best to takes pics of the moon at dusk (when there's some light) to prevent the blast of white light that makes it lose detail later in the evening (when it's totally dark). This photo says a lot, a lot about life and a lot about life in Palm Springs. We've got a confluence of population here--old meets young. Come out here on the weekend and you'll find family members of four generations. 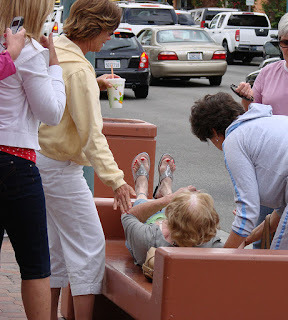 Yes, the "last great generation" has to be careful here, as the heat is severe. The woman in the picture has gotten sick. This scenero happens a lot here. There are four types of tourists here. 1. Weekenders looking for a get-away from LA and San Diego. These people come here in droves when fog has socked in the coast. San Diego and LA have an effect called the June Gloom, a period during late fall and early summer, when there is fog along the coast that doesn't dissapate till sometimes well after noon. 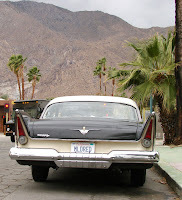 Palm Springs is identified as a Hollywood getaway for stars then (during the 50s) and now. There are more than a dozen exclusive gay resorts here, which attracts gay people--white, black, latino and all the rest. There's a base at 29 Palms, about an hour north and east of here. 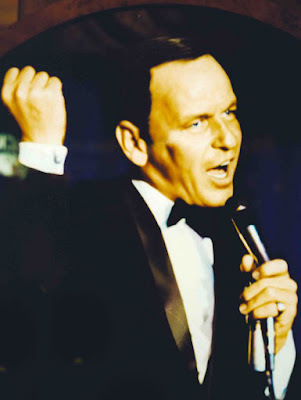 Many affiliated with the base come to Palm Springs for entertainment. I posted this image to get your attention. Did it work? We have a mall in town--the Palm Springs Mall--which is in a sorry state of disrepair. The mall is filled with empty stores and the food court has only two of about eight restaurant spaces occupied. 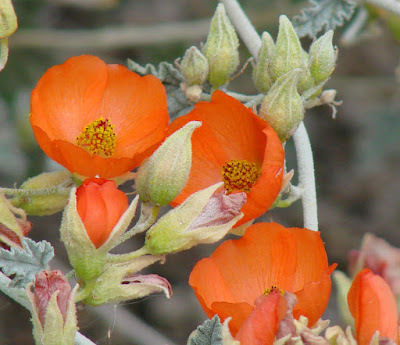 The only businesses that have succeeded there are the hardware store and Mario's of Palm Springs, a dress shop. The mall was remodeled about 10 years ago, and that didn't help. For such a so-called world class town, the city needs to do something with that mall, like take a chunk out of the middle and make it an open air place. A Whole Food Grocery might help. Borders anyone? Help!! 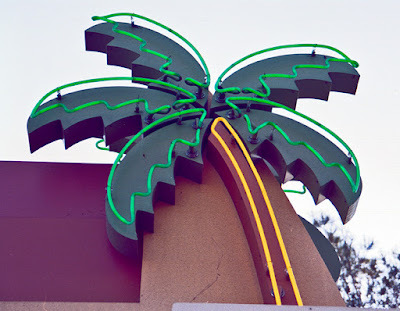 BTW: The palm tree neon sign is at the entrance to the mall. 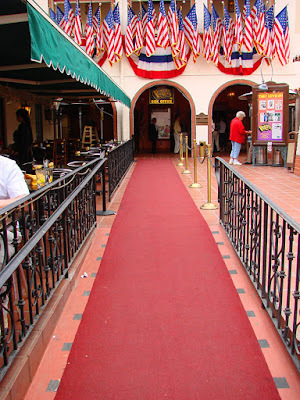 This is the red carpet going into the Plaza Theater where the Palm Springs Follies perform. 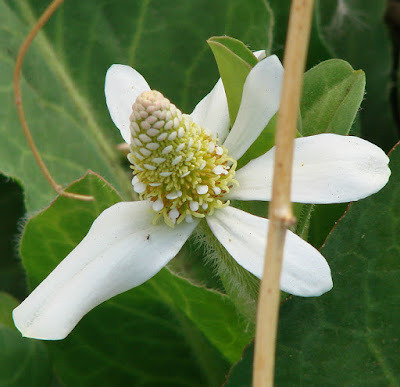 For more about the Follies see my other posts about them. Oh boy! That's what I say to myself after yesterday's impromptu photo shoot. I decided I'd ride my bike to the Dream Homes neighborhood of Palm Springs. I had heard that there were some really cool mid-century modern proporties there. Yes, there were a few, however the neighborhood is filled with dogs--bicycle-chasing dogs. After I rode around for 15 minutes trying to find that perfect home with a butterfly roof or floor to ceiling glass or any other fixture that sang 50s architecture, I found little. But I was found, found by a pack of vicious dogs. They chased me for several blocks showing their teeth and nipping at my leg. I rode faster and faster. But they still kept chasing me. Must of been 15 of them. They only stopped when one of the people that lived in the neighborhood ran his car close to them. He went and phoned animal control and I felt blessed that the nips didn't turn into bites. This is a soccer player kicking the ball in Demuth Park. I live a block from the park. Every weekend (and sometimes weeknights) hundreds of people go to the park for a variety of activities. They celebrate birthdays--extravagant parties where there are blow up play structures for kids--and play sports--everything from soccer to softball. 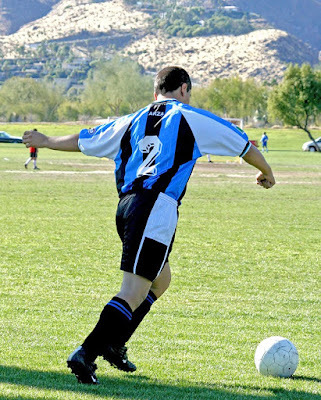 There are organized soccer teams where the players buy and wear some pretty spiffy uniforms. A Palm Springs homeless woman is struggling to keep her golf cart home. Homeless for 20 years, according to the Desert Sun, Ruby Caskey has made a golf cart her home for the past several. The city has transitional housing available, according to the newspaper article about homeless issues published on May 16, but Caskey wants no part of it. I talked to her for a while today and she seems happy living where she is. She had asked me to get people to write letters on her behalf, letters that let the city know that she should have the right to live in her golf cart. She also let me know that a local church has her pay $100 a month for use of the shower facilities at the church site. 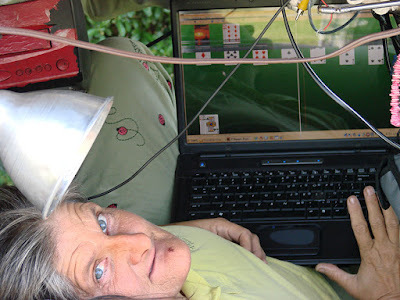 I told her I'd write a letter about her right to keep her home and tell others to do so also. I want this woman to be able to do as she wishes as her golf cart and its contents (everything from televisions to printers and found junk arranged as if the cart were an art piece in a museum) are a Palm Springs landmark. After yesterday's downright "trippy" post, today I get to the nitty gritty of mechanics. 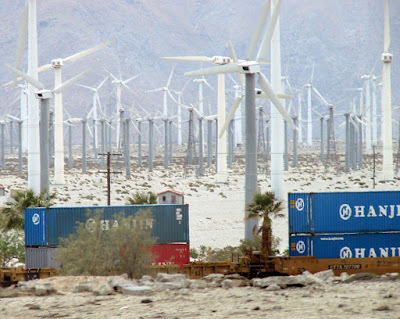 Wind making electricity seems like it'd be easy. In a way, yes. Find out how here. Shot this a few years back at a mid-century modern store here. It's a light box. Reminds me of an acid trip. 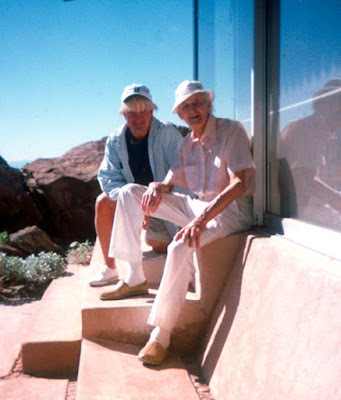 Timothy Leary dropped the tiny tabsand lived to the ripe old age of 75 or 76. I think I'll live to that age without the trips, though. Not to say that I hadn't tried the stuff before. 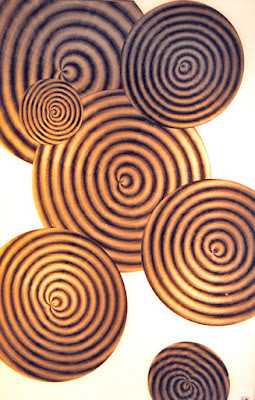 During an acid trip, the person who you trip with will float his hands in front of your face to see if you see "trails." My guess is that the picture above might be the "trails" you see in one of those acid trips. So funny that rarely do people these days talk about drugs (except if you're in an NA meeting). Well, those days certainly are a piece of history and gone forever. People in Palm Springs most certainly took part in the drug culture. If you go to the Indian Canyons here, in the Welcome Center at the foot of the trail that runs thought the canyons, they have pictures of people from the 60s who went to the canyons to go to love-ins. A love-in was where people made love in public, not to mention smoke a little reef and drop a little acid. Just a bit of history here as to find info like this on the Internet is difficult because no one wants to talk about nor remember it. It was a truly unique time, and a time when many participated in these "naughty" activities. Palm Springs was and still is a kind of "naughty" place. There's a lot going on in this picture--the guy's talking on the cell while holding a pen. He has a tattoo also. 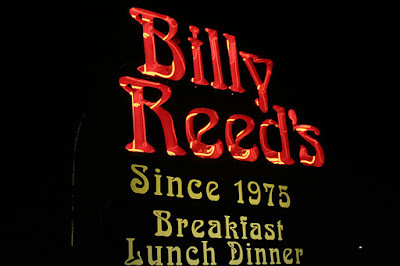 As far as I know this is one of the few neon signs left in Palm Springs. 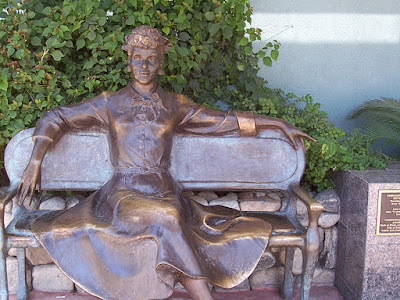 Whadaya wanna bet that we're the only town that has a statue of this woman? 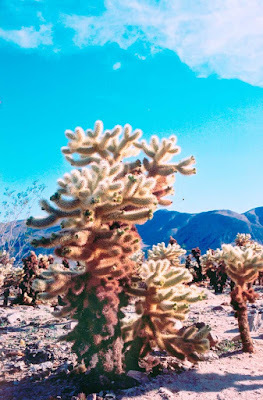 What kind of cactus is this? 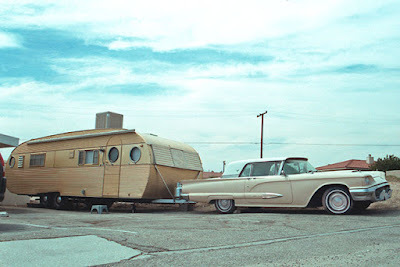 The other town near Palm Springs, filled with retro photo-ops. 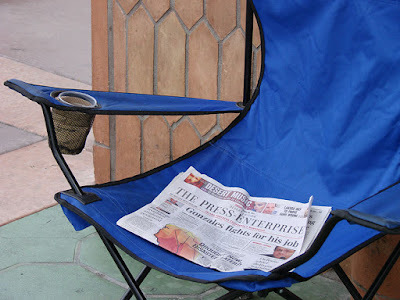 Chair in Palm Springs with Press-Enterprise on top of it. Hey I write for that paper! 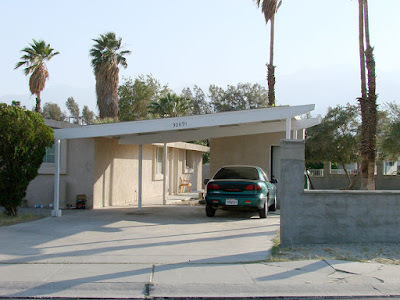 Couple of years ago I wrote an article about the Twin Palm house, a house Frank Sinatra once lived in in Palm Springs. I remember driving there and finding it hard to locate. I had to enter a gated community of Spanish style homes. Then, right before my eyes, was a yard with two large palm trees. It was the front of the Twin Palms House hidden among the community of Spanish-style homes. Inside there was much to surprise me, including a swimming pool shaped like a grand piano. The biggest surprise of all turned out to be a tape recorder found in between the walls there. Read about that here. Odd? Yes, indeedy. 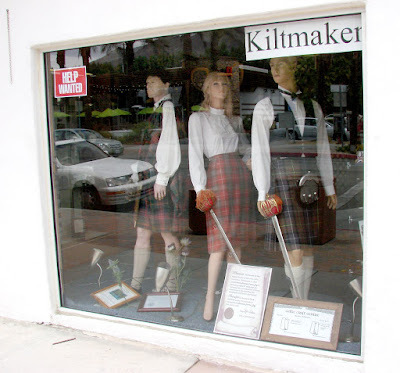 Palm Springs' kilt making store needs help. The first thing I could think of on a walk downtown is, "Why?" Where in the World is Mildred? Or Mldred? Find her and get your free copy of "Digital Art Photography for Dummies" by me. 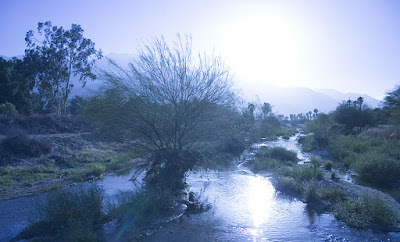 There used to be water that flowed down the San Jacinto Mountains this time of year. Could it be global warming causing the West's drought. I'm not sure. As a guy who's had a couple of climatology courses under his belt (I've got a B.S. degree in meteorology from FSU), I know there have been longer and worse droughts than this before. On the other hand, one might conclude that, with all the melting water at the poles, the ocean is cooling. Of course the dynamics are much more complex that that. In meteorology, they use equations, with each variable weighted according to how much scientists think it affects the climate. What would you guess in percentage terms the weight (in percent) of the temperture of the water of the melted ice at the poles would affect the climate? Come on now, buddying daily photo scientists, take a swipe at this one! Other variables: The West is very rainy when El Nino is present because of warmer ocean tempertures. Consider, too, that upwelling is a natural occourance on the West coast. Upwelling is caused by the earth's rotation. When the earth turns, the top layers of the ocean get dragged out to sea, letting the colder deeper water flow upward to the surface. This is my pal CC Rider. He's a Tiki carver who lives way out in Pioneer Town. 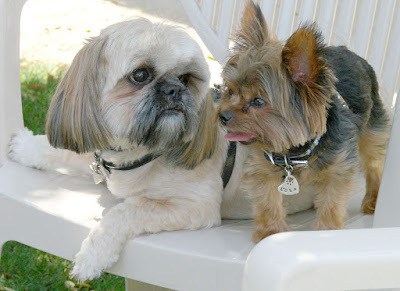 The two are at the home of Albert Frey in Palm Springs a few years back. Albert Frey is the most revered architect in Palm Springs. Buy a house designed by him and it's worth some bucks. Today I take you to the city next door. Cathedral City is right next to Palm Springs. My house is closer to downtown Cathedral City than it is to downtown Palm Springs, even though I live in Palm Springs. 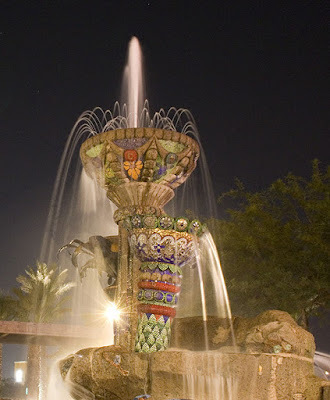 This photo is a longer exposure at night of the fountain in downtown Cat City (we call it Cat City here). During the day in the summer, zillions of kids play in the fountain.